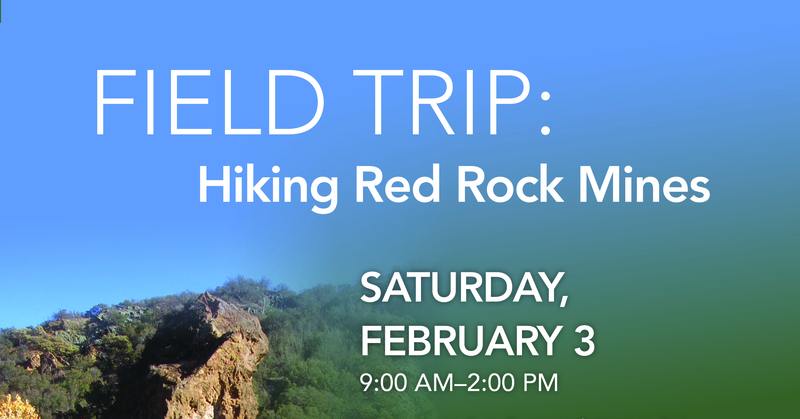 Join Geologist Susie Bartz on a field trip to Red Rock which follows the Santa Ynez River. Explore the old Los Prietos/Juniper mercury mining area through narrow valleys as Bartz teaches about how California's fault lines formed the cinnabar, a hydrothermally enriched "red rock" ore of mercury. Important Information: This field trip consists of a moderate 2.5 mile (round trip) hike on uneven and loose terrain, and requires the ability to climb up and down slopes with loose gravel and traverse through rugged arroyos. Participants must be in healthy, physical condition to participate. 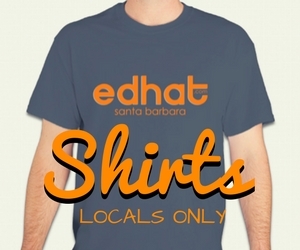 Information: Call Stefanie Coleman at 805-682-4711 ext. 170 or scoleman@sbnature2.org.